Hallett Materials, a CRH company, was established in 1918. 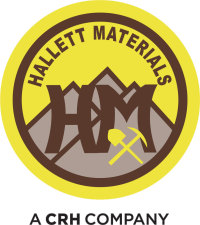 Hallett Materials produces quality aggregates with a firm belief in customer service. The materials produced by Hallett Materials are used in the construction of new highways, bridges and buildings as well as landscaping and maintenance projects. The Diesel Mechanic will be responsible for performing all needed inspections and repairs on trucks, on-highway end dump trucks, tractors and trailers, and heavy construction equipment in a safe, effective manner. Two year certificate from college or technical school. Certificate or degree in heavy equipment maintenance and repair required. Valid Commercial Driver’s License (CDL), class A or B preferred. Hallett Materials is an Affirmative Action and Equal Opportunity Employer.